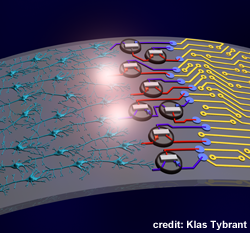 On the occasion of Wouter Serdijn’s recent appointment to full professor in bioelectronics and the inaugural ceremony in which he accepts his appointment, a full-day symposium will be organized. This symposium addresses bioelectronics from a technological, a medical, a clinical, an industrial and a societal perspective. Five distinguished speakers from the Erasmus and Leiden Medical Centers, from the Dunedin School of Medicine and from Applied Biomedical Systems will address these challenging topics.